Accounting Broker Acquisition Group is a boutique M&A accounting practice brokerage nationally recognized as the choice for one of the market’s most critical and lucrative transitions: accounting practice sales. As a national merger and acquisition consulting firm specializing exclusively in the promotion and sale of accounting practices, tax consulting businesses, and CPA firms, we achieve proven results that can help you attain even your most ambitious goals and desires. Whether you are a sole practitioner, small partnership, or large regional firm, selling your accounting practice for maximum value is our top priority. As Ex-Big Four CPAs who possess decades of merger and acquisition experience, we leverage our know-how to source just the right buyer, allowing us to command the highest sales prices and cash at closing amounts in the marketplace. Accounting Broker Acquisition Group is the only national business brokerage of its type comprised 100-percent of brokers who are CPAs with significant “Big Four” merger and acquisition experience. The cumulative experience of our brokers is comprised of many billions of dollars of mergers and acquisitions over the course of their careers. In addition, we have promoted and negotiated hundreds of accounting practice acquisition transactions involving many millions of dollars in value for sole practitioners, small partnerships, and larger firms. The M&A experience of our brokers is incomparable. We have multiple offices throughout the nation and we have a large number of accounting firms for sale nationwide. We have a vast network of financing sources that can result in cash deals to the seller and favorable loan terms to the buyer. 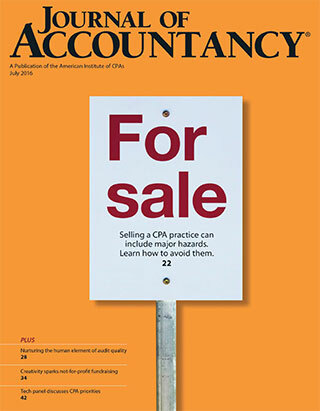 Read our featured cover article, “Navigating the path to success in accounting practice sales” in the Journal of Accountancy. At Accounting Broker Acquisition Group, the accounting practice sales process all starts with finding the right buyer for your firm. 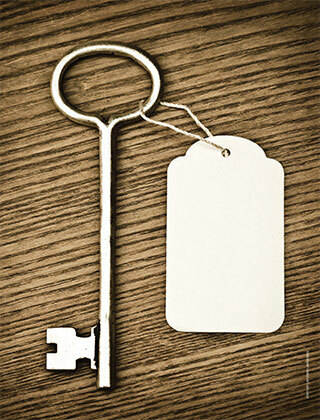 We first focus our efforts on marketing your practice to the largest possible buyer pool. With a massive database of legitimate qualified buyers at our disposal, we spread the word wide in the most confidential manner possible…then cull the list and present you only the top candidates that meet your specific seller criteria. Accounting Broker Acquisition Group possesses the breadth of experience and depth of knowledge that is unrivaled in the industry. But best of all, our results reflect the mindset of absolute excellence in everything we do. You will not find a more knowledgeable, hard-working, or experienced accounting practice sales broker in the nation! This fact can best be demonstrated by taking one glance at the proven results we have achieved for our sellers (click here). Whether you desire to purchase a CPA firm with dozens of employees, or you wish to purchase a tax practice owned by a sole proprietor with one employee . . . You may discover that one of our accounting firms for sale is the “perfect firm” for you. We understand what it is like to buy an accounting practice. We possess highly specialized knowledge related to mergers, acquisitions, and sales of accounting practices. We assist you throughout the entire process. Are you considering the possible sale of your accounting practice? Accounting Broker Acquisition Group stands alone in our proven ability to sell accounting firms for maximum market value with the best possible deal structure – even in the worst of “forced sale” situations. When you place your accounting practice for sale, no local or national business broker is our equal at promoting, selling, negotiating, and obtaining “top dollar” on your behalf, while at the same time finding the right buyer for your clients. One excellent example of our exceptional ability to achieve “maximum value results“ is contained in a notarized letter we received from Ms. Rebecca Richardson-Blanchard. Ms. Richardson-Blanchard provided this letter to us as a gesture of appreciation on behalf of the Estate of Thomas W. Richardson, CPA, deceased. This letter emotionally and candidly reveals the proven strategies that brilliantly transformed this “worst case scenario” and “forced-sale situation” into a “maximum value” CPA firm sale. If you are considering selling your firm, you owe it to yourself to read her notarized letter under the “Results” area of our web site. You can also discover a wealth of valuable information and insight, contained in the seller’s area of our website, that can significantly impact the sale of your CPA practice or accounting firm and your bottom line. We are willing to help you and give you advice whether you choose to use our services or not. Please call us or send us a quick email now! The phone call is free. There is no obligation. A five minute phone call is all it takes to see for yourself if our proven strategies could be the catalyst to enable your new future – without leaving money on the table. Are you searching for an accounting practice or CPA firm for sale? If you are a serious buyer and have not registered with Accounting Broker, we have a large number of accounting firms and CPA practices for sale nationwide. You may discover that one of our many accounting businesses for sale is the “perfect firm” for you. We can also help you finance your purchase with a CPA firm loan for as much as 100-percent of the accounting practice sales price (subject to qualification). If you would like to receive information on our numerous accounting firms and CPA practices for sale, please click here.